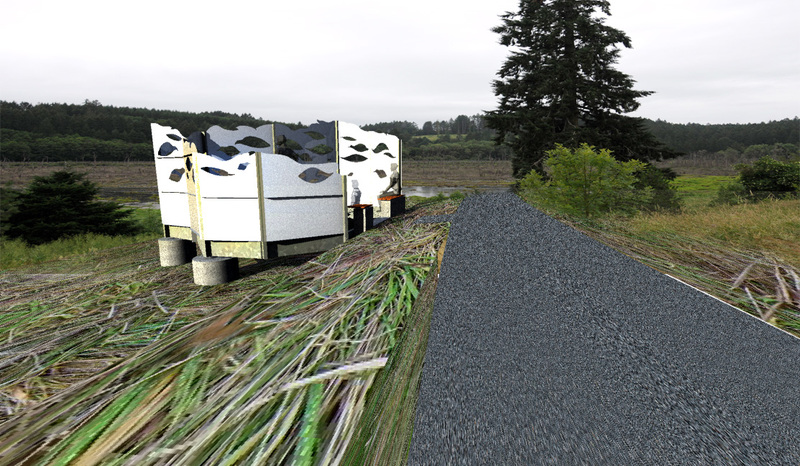 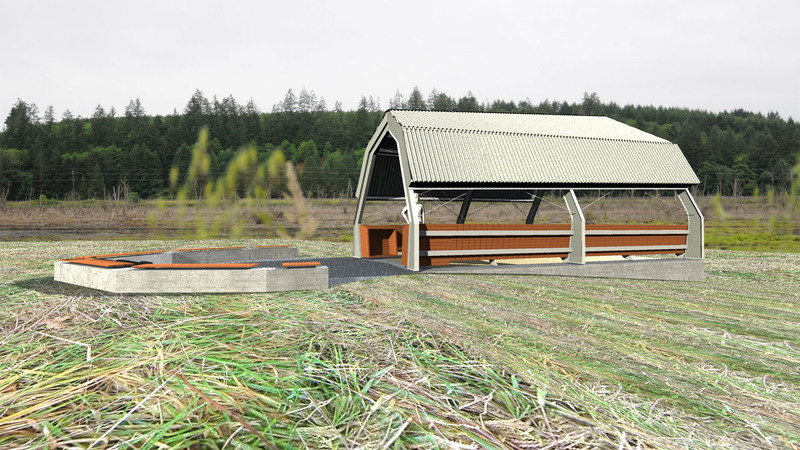 We are excited to be nearing completion of the design and detailing for Killin Wetland. 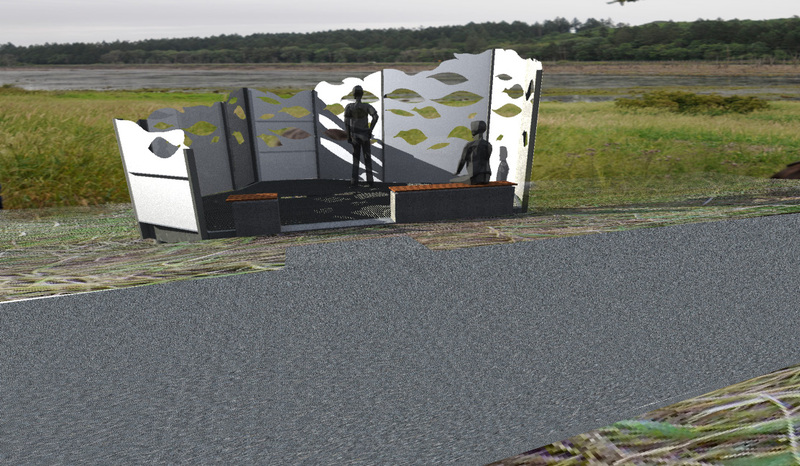 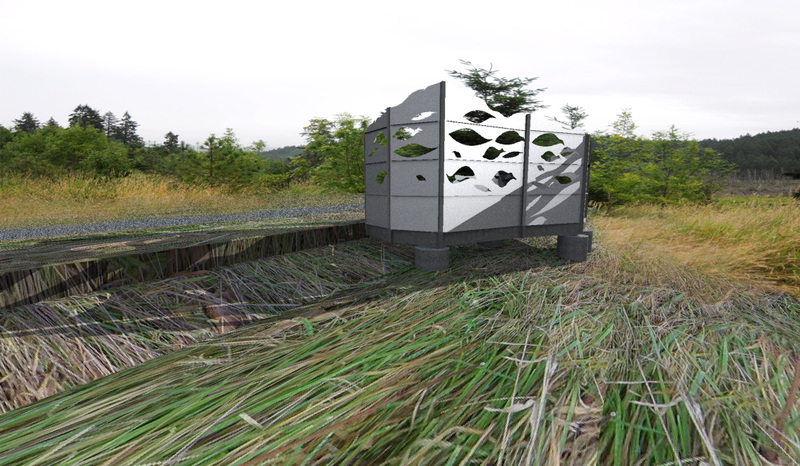 We are providing the architectural services of the design team with ESA Vigil-Agrimis providing Landscape design and engineering services to create new public access and viewing of a large wetland just outside of the Banks, OR. 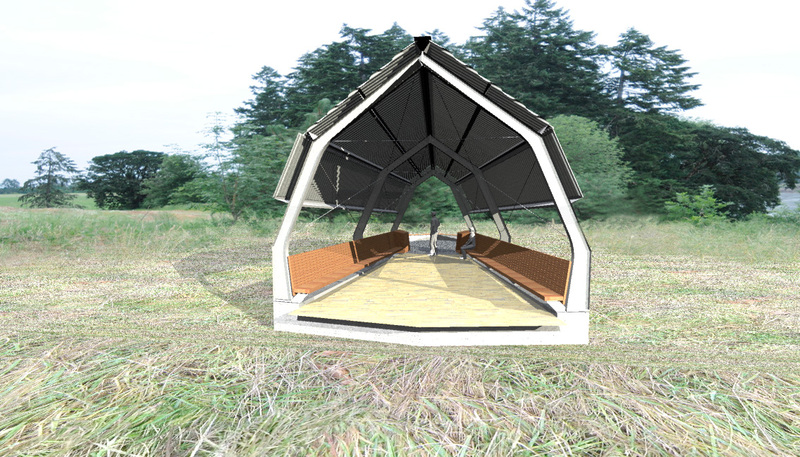 We worked closely with the our client METRO to design and develop two structures for the site. 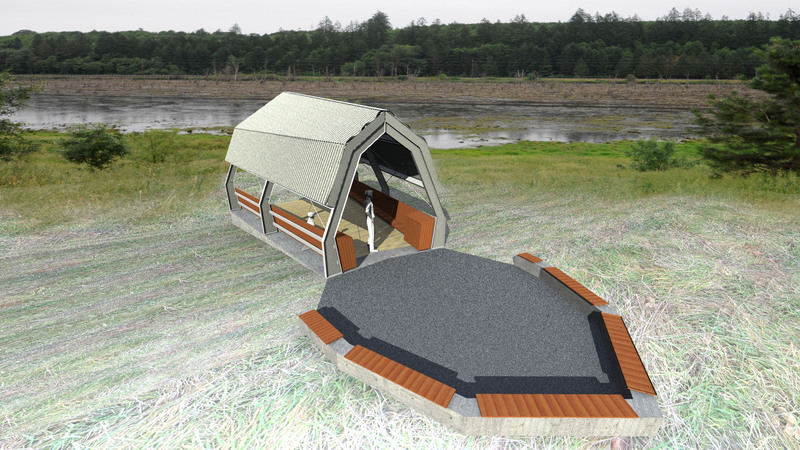 One is a Learning Shelter overlooking the wetland from a elevated vantage point. 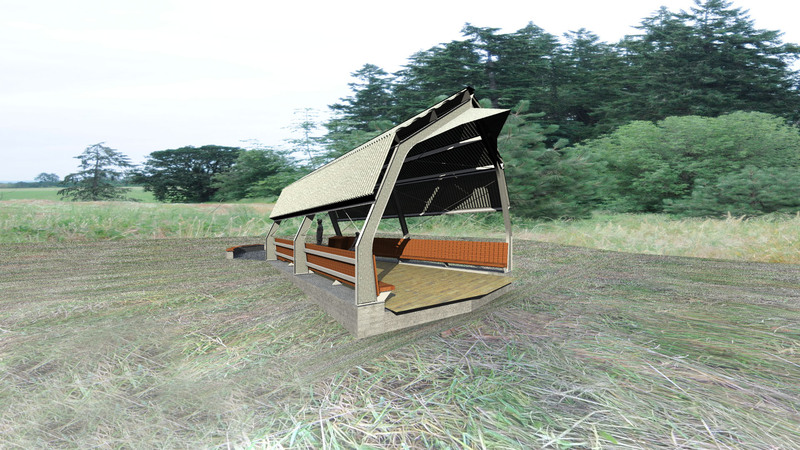 The Open air shelter echos the form of the site’s existing barn and provides a wood deck and benches for small to medium sized groups of children to gather and learn about the wetland. 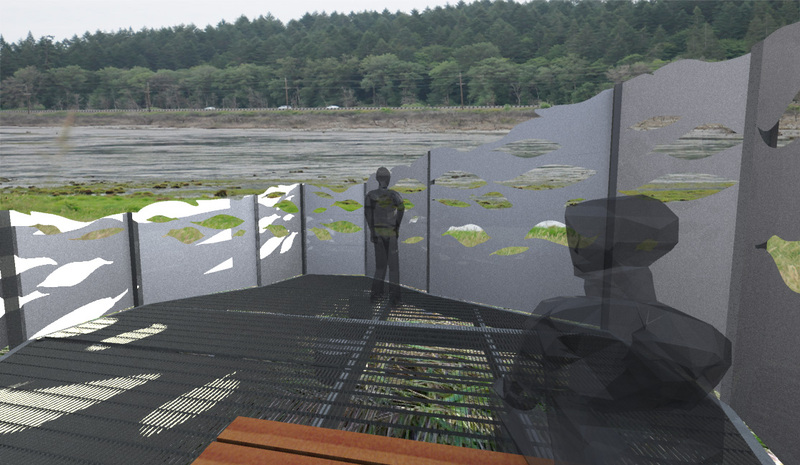 The other is a Bird Viewing Blind located on the edge of the water, it takes the form of a wing that wraps around you as you enter. 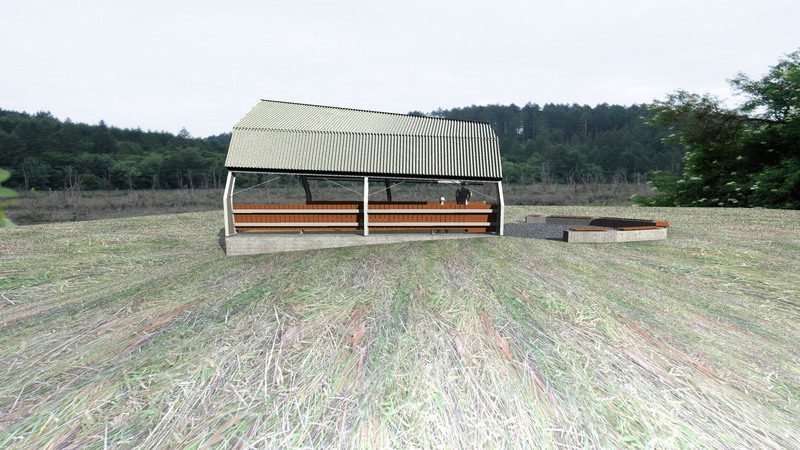 The floor is elevated slightly above the wetland and its galvanized metal grating will allow grasses to grow up and through. 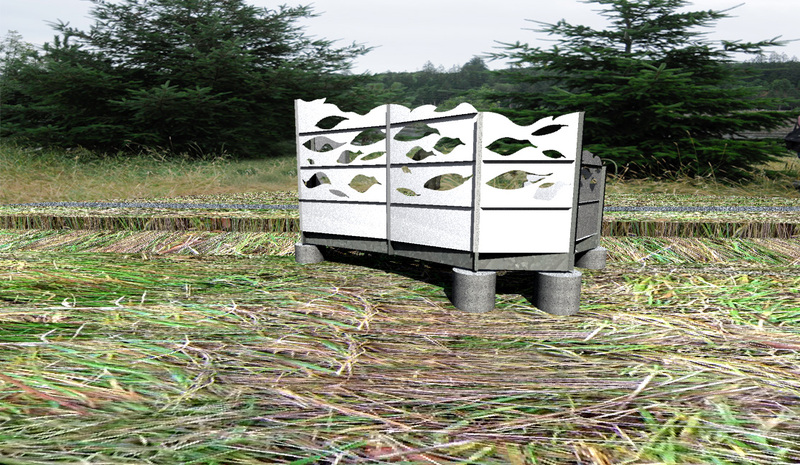 The viewing apertures vary in height from 30″ to 66″ and recall the shapes of feathers , birds and fish.